Strong, free and sensual, GUERLAIN Mon Guerlain is an audacious tribute to modern femininity, inspired by Angelina Jolie. Its composition forms an invisible tattoo on the skin, enhanced by exceptional raw materials from around the world: Carla Lavender from Provence, Sambac Jasmine from India, Vanilla Tahitensis from Papua New Guinea and Album Sandalwood from Australia come together to create a symphony of fresh oriental splendour. 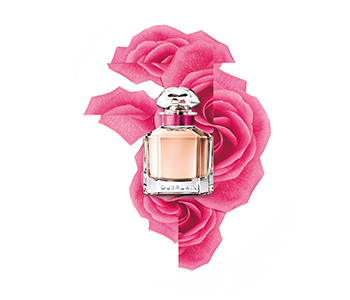 Mon Guerlain is the scent of utter sensuality, signed with the finesse of GUERLAIN.